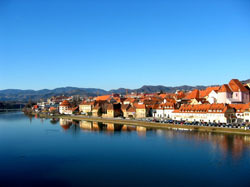 Slovenia capital is a lovely city to visit. On the shores of Ljubljanica River, Ljubljana pedestrian center is perfect to rest and enjoy a coffee in the a bar along the river. 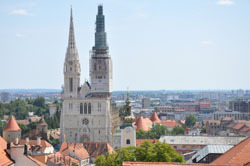 Visit the Ljubljana Castle, with has a great view over the city. During the Summer, the castle features movies in a lovely open-air cinema. 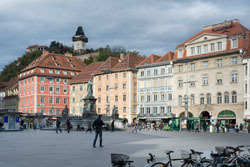 Ljubljana superb location has enable a great increase of visitors in the past decade.